You can find a complete 2013 Mazda MazdaSPEED3 review below the video. There is a reason Joe Myers Mazda is the foremost Mazda dealer in Houston. 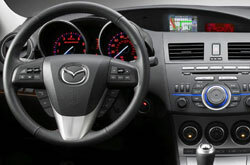 We provide you with MazdaSPEED3 reviews by the best writers in Houston. Each paragraph is overloaded with worthwhile data and specs- everything you need to make knowledgeable decisions on your next vehicle purchase. What are you waiting for? 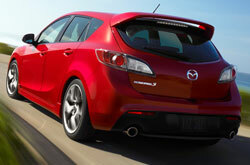 Watch the video below or start reading the 2013 MazdaSPEED3 review below! When considering the 2013 Mazda MazdaSPEED3 to the 2013 Volkswagen GTI, Mini Cooper S and the Scion FR-S, and you can spot that the MazdaSPEED3 scores higher those autos in several parts. View the hightlights below. To get your Mazda MazdaSPEED3 worked on by spectacular service techs, you don't need to drive far. Our Houston auto service center is a brief ride away and we offer a long warranty on every service. To keep your Mazda in top shape, put it in the hands of Joe Myers Mazda's auto repair hot shots. Whether you're searching for cheap electronics repair or less tedious work like in-cabin air filter replacement or regular oil changes, we'll take care of it! And these things are barely a tiny percent of the repairs we do. It's self explanatory: If you want hot shots service and affordable repair prices in Houston, make Joe Myers Mazda your first stop for Mazda vehicle maintenance. Check out the link below to see how much money you can save on your next service appointment.